Black Caviar, one of the most popular and successful horses in Australian racing history, has been retired after an unbeaten 25-race career. (The Australian - 17th April 2013). Rarely in Australian sport has a champion captured the collective imagination of the entire nation. Rarer still has that champion been a horse. Not since Phar Lap has an Australian thoroughbred dominated the international racing scene so uncompromisingly - and with such grace. Few of those who witnessed her first win at Flemington in 2009 could have know just how special she would be: the thousands who turned out four years later to say goodbye all longed to see her race just once more. 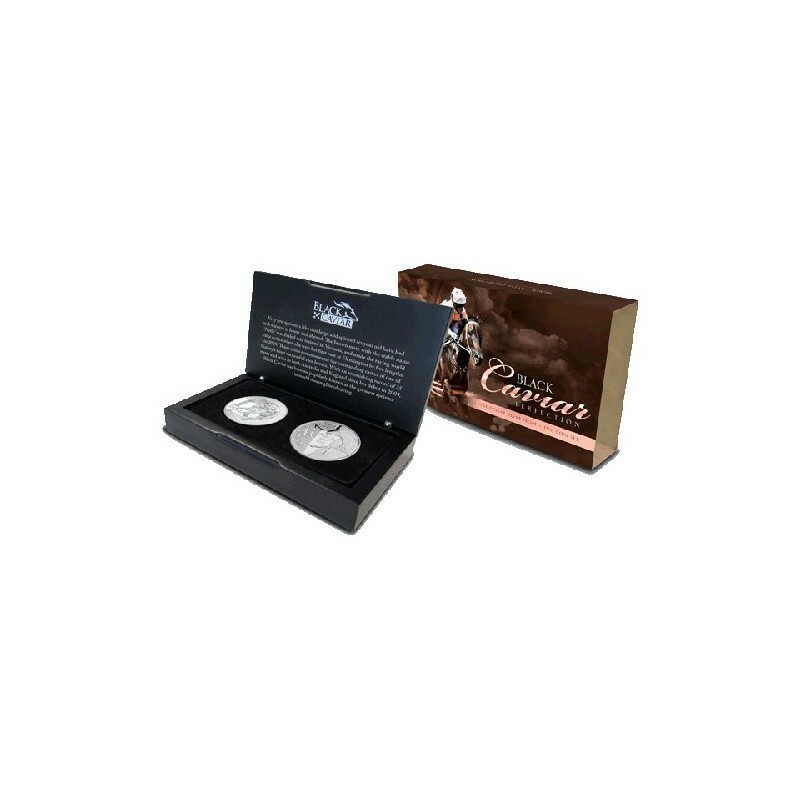 These coin's commemorate the spirited mare's sterling undefeated 25 race record - and immortalises her, mid-gallop. Many will be racing to get a memento of this moment in history. 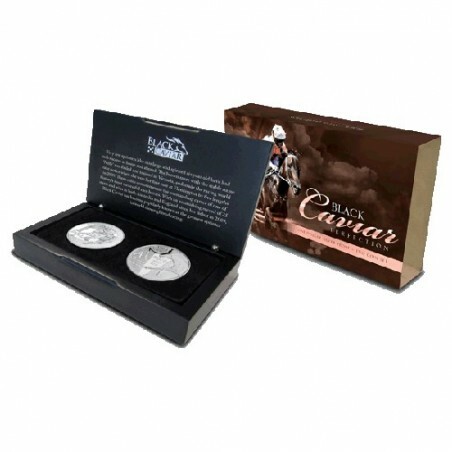 Available as an uncirculated aluminium-bronze coin, silver proof and two coin proof set. Sure to be a winner with all collectors.